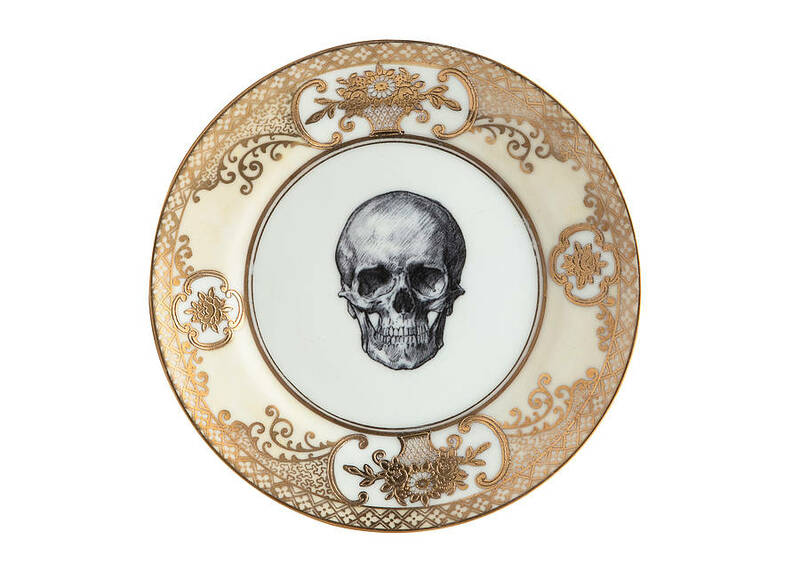 An elegant and unique upcycled vintage gold side plate with the 'Skull' design, part of the Melody Rose Rock and Roll collection. 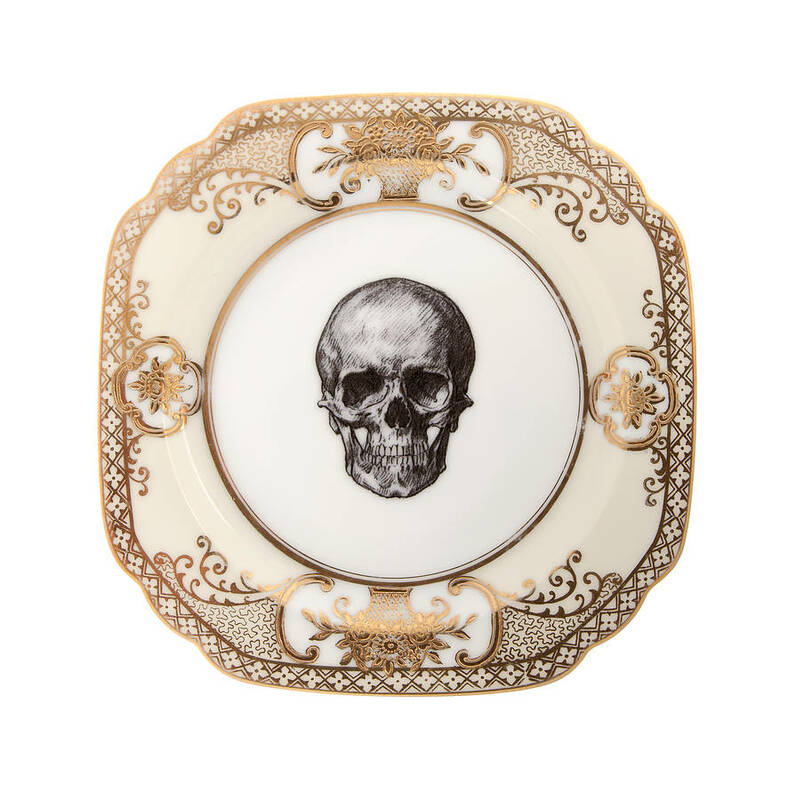 Enjoy a decadent slice of cake from this upcycled Melody Rose side plate. Re-imagined vintage and antique ceramics, each piece has been redesigned and then refired in the kiln at over 850 degrees making these pieces gorgeous to display but also entirely functional and can be used every day. 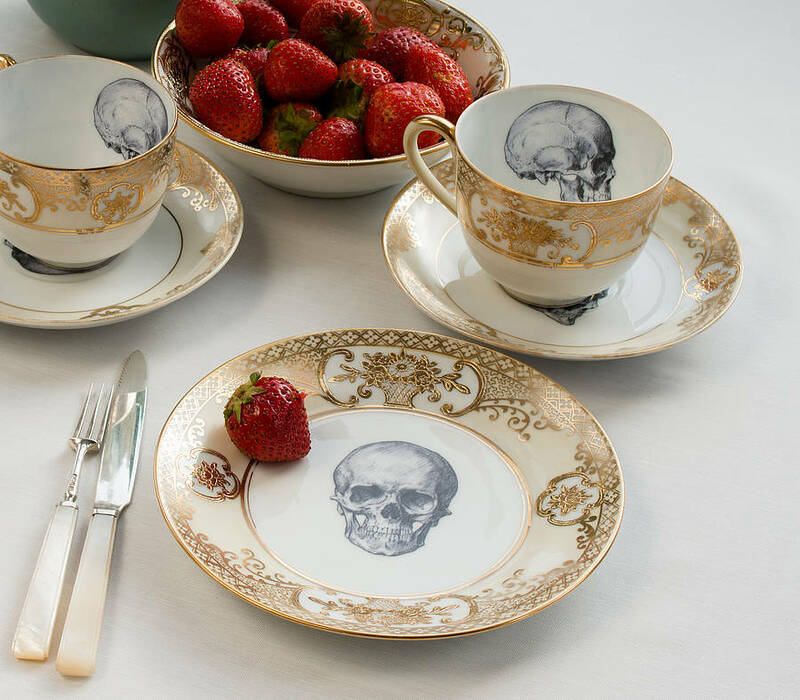 Looks great as a set with the gold Skull design teacup and saucer, but pieces can be bought individually or mixed and matched and make wonderful gifts. The gold side plate is available in both round and square shape. Vintage bone china. Can be used every day but washing by hand will help prevent original gold details fading over time. Vintage pieces may show some signs of gentle previous use. This product is dispatched to you by Melody Rose.